Capacity range is from 1.5kW to 14kW. Compact dimensions, can easily be mounted in a ceiling void. 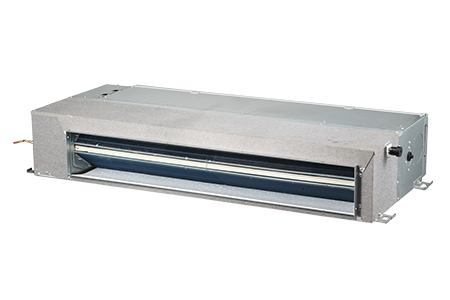 Medium external static pressure facilitates unit use with flexible ducts of varying length. It is popular used in hotel bedrooms and small offices.